Naming our project Megazord created $200,000 additional monthly revenue. My division was hit with a revenue drop early this quarter. It was no one’s fault, but we still needed to recoup the loss if we wanted to hit our quarterly goals. When the numbers finally came in we were $150,000 behind schedule with only 5 weeks to catch up. We needed to pull an extra $5,000 a day out of thin air. I met two of my colleagues in a dim conference room to review our options. It looked bleak. Our two biggest engines of growth looked flat. We didn’t have any promising new products on the horizon for at least a month. We didn’t have any new partners on the way to drive more sales volume. Even if we did, the on-boarding process isn’t fast enough to get them up to speed in the time we had left. And besides, they’d have to be one hell of a partner to generate that much revenue. We needed a way to squeeze more money out of everything we already had. We needed to optimize something – and fast. We discovered six features which had been built at the request of specific partners and had all resulted in performance gains. Because of the one-off nature of these requests, no two of them had been combined. We decided to combine all of them and go for broke. We named the project Megazord. As a kid I used to wonder about the campaigns from history’s biggest wars. They all had cool names like Trident, Chronometer, Domino, Matador and Dracula. One part of me wanted to know who was coming up with these names – cause they were creative as hell. The other part of me wondered why anyone bothered. Why take the precious time to sit around a table and come up with a cool name? Why not just name them Mission 1, 2, 3, 4 etc…? Because a cool name is a rally flag. It gets things done. If you were a soldier, would you be gung-ho about Mission 21c? We conceived, built, and tested Megazord in under a week. It required effort and coordination from 8 different people in 4 different departments. Megazord is a runaway success. It will generate over $200,000 in extra revenue before the end of the quarter. This would not have happened without a cool name. A good name aids understanding of the project’s primary objectives. This project was an amalgamation of pieces to form a more powerful whole. So is The Megazord. A good name is a proper noun, instead of a list of adjectives. “The 6-feature combo project” sounds like no one cares about it, but Capital-M-Megazord means business. Just like everything else in life, if it’s important it gets a real name. A good name speeds up a project by making it easier to talk about. “Were you talking about this blue landing page test?” “No. I was talking about the other blue landing page test… The one we looked at on… Wednesday? Let me find the email thread and get back to you.” Sound familiar? It wastes time. A good name is provocative – it gets the people going. 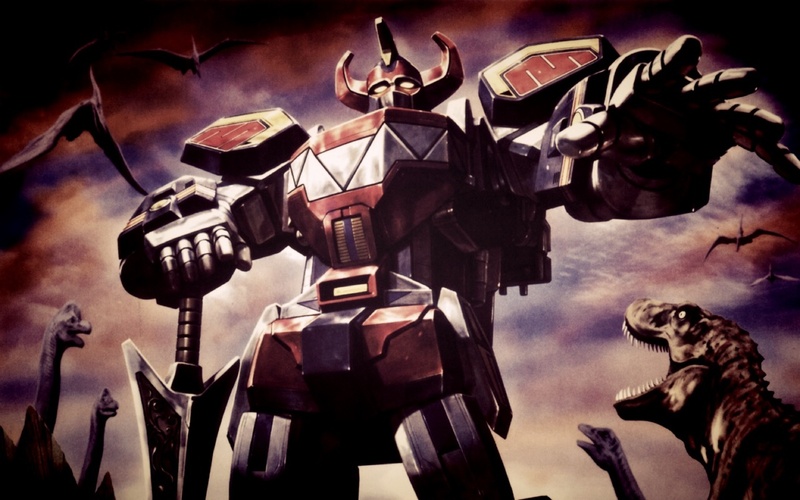 It felt silly at first to talk about Megazord at morning scrum sessions, but it was strange enough for everyone to ask questions which created buy-in from the entire team. And of course, these days a good name also has animated gifs and memes to keep the project emails interesting. We used this one when the project launched. And this one when the test results came back as a ripping success. I didn’t know all this when we named the project Megazord. In fact, I only thought of the name because my buddy Tito mentioned The Megazord the previous day. The team thought it was fitting and funny so we rolled with it. But after realizing the benefits, I’ll give all my future projects great code names. Do you think Megazord would have the same clout with current college kids? Were the power Rangers popular 10 years after the fact? Hmmm not sure. I think it’s just old enough to be hipster-cool right now… Which might set the min age to 23ish? The irony helped.